We do not have any hidden fees or motives. Our goal is to help the sport grow and help people grow who need our help. You don’t have to be a huge gym with hundreds of students or anything close to that. In fact, many of our first affiliates were small gyms, in rural locations, with just five to six students. In fact, those are usually the people who need the most help. 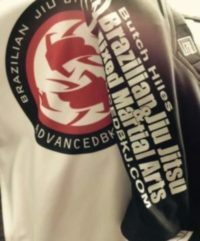 You will receive top notch training by a certified black belt in Brazilian Jiu-Jitsu under Marcello Monteiro and who has trained several MMA champions, boxing, kickboxing, and jiu-jitsu champions and winners. You will become part of a team that truly cares about their friends and teammates and who look out for each other. It’s guaranteed that each of your teammates will do everything in their power to make sure each individual gets everything they need to make them as good as they possibly can be. We will schedule a meeting that will either be a seminar or training session, because it will be important that each party will be satisfied with the other. After the initial meeting, if both parties want to move forward we will. It’s that simple. So, if you think this is something you would be interested in, please contact us so we can begin the process.